Citizen development is a topic that is going to dominate boardrooms within the next 5 years, and every company should have a strategy. To make sure you have a solid head start as a frontrunner in the movement, we’ve made a guide so that your citizen development implementation is a smooth ride. The tricky thing about implementing a no-code development platform isn’t about technology. It’s the fact that no technical solution on its own is a one-stop solution (and believe us, we’d be the first to shout it out if a no-code platform on its own would solve all of your problems). Putting a new digital solution into practice depends as much on organizations and workforce as it does on the technology itself. 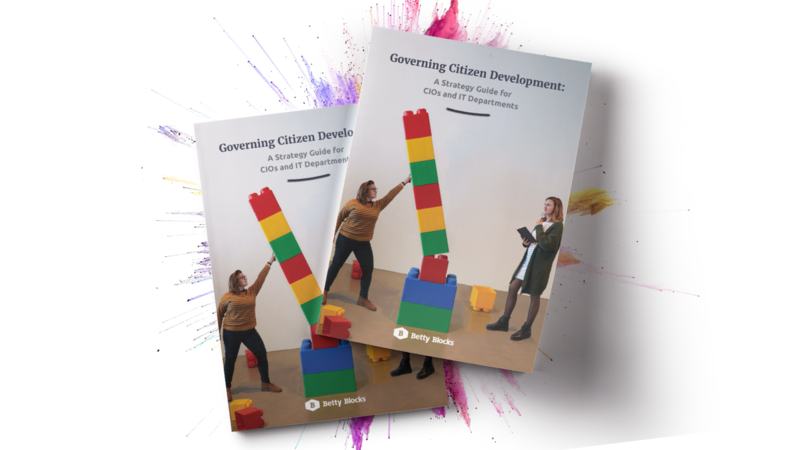 That’s why creating a governance strategy is necessary for your organization to succeed with citizen development, and our latest eGuide will help you do just that. Governance is what moves citizen development from theory into practice, and takes your AD&D strategy to the next level. In this guide, Simon Hunt, independent contractor for the UK’s Ministry of Defence, lends valuable insights from first-hand research into how organizations can structure citizen development initiatives for success. Solve your shadow IT problem, centralize control, and optimize the massive potential citizen developers have to offer without compromising security. Read the guide here to learn how!